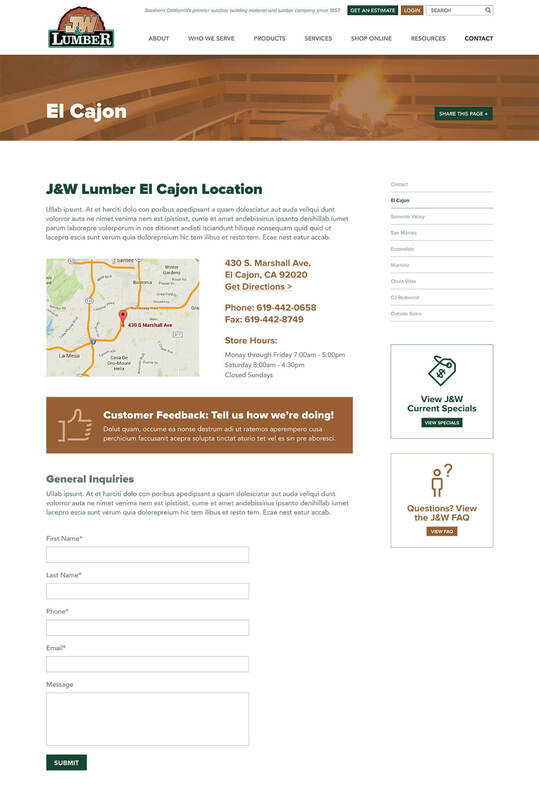 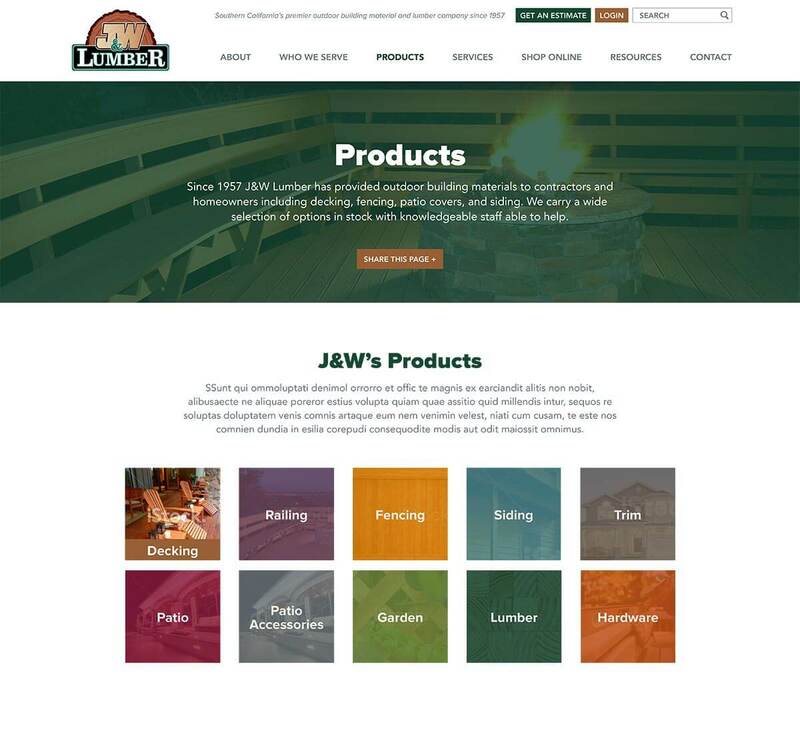 J&W Lumber is a Southern CA based lumber company that works with both consumers and contractors. 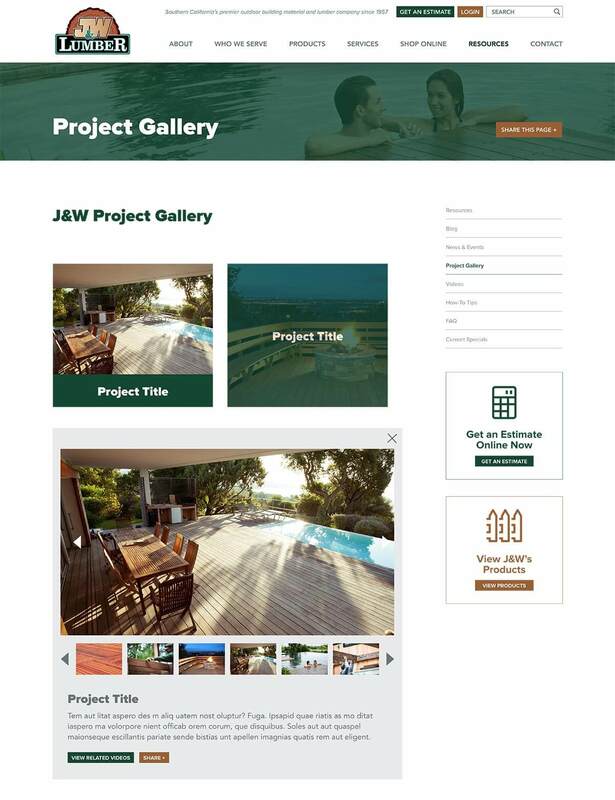 They contacted Bop Design to create a website that was both B2C and B2B. 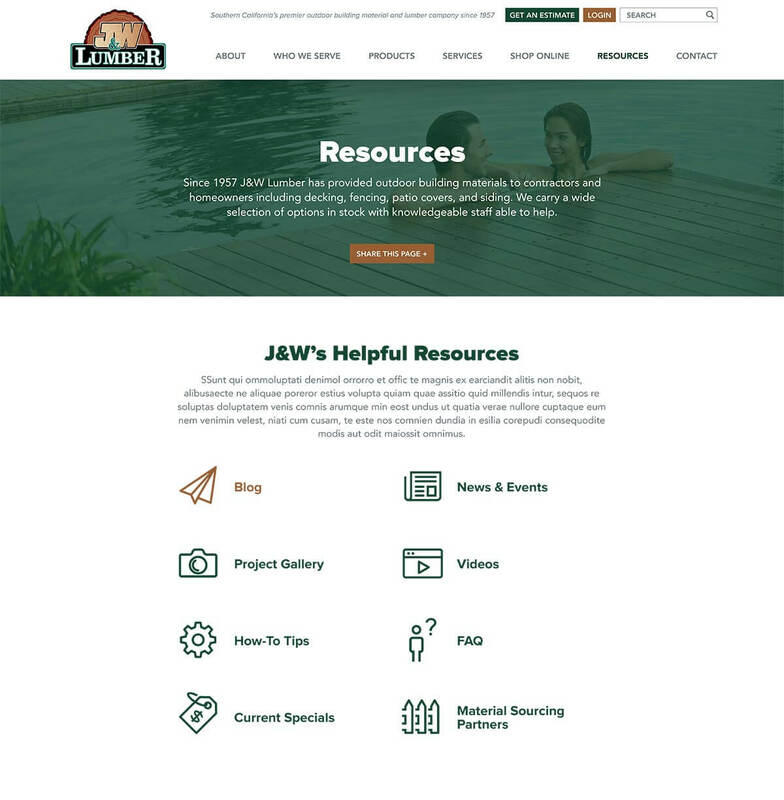 The new website design better resonates with contractors—more B2B messaging and imagery—but also accommodates consumers and channels each market segment to the appropriate area of the website.